Front protection in the form of hardened steel parts. 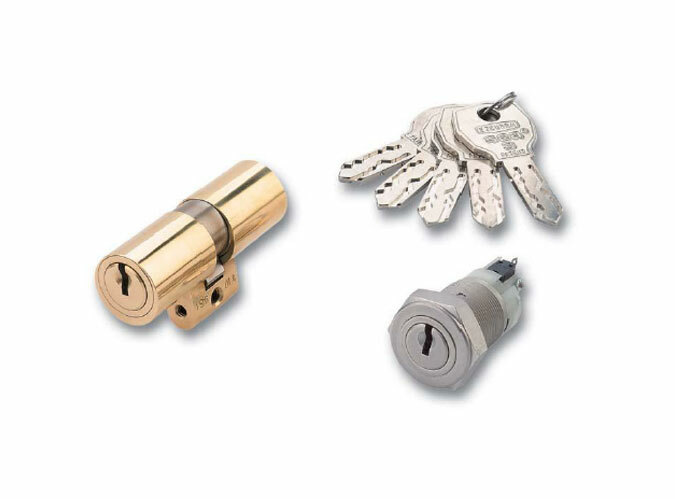 They combine the double row of pins, which act in suspension and with double fastening, with extra action on the side, resulting in a highly advanced multiple lock system with unlimited combinations. Suitable for all types of master keying. 5 reversible nickel silver keys. Wide range of sizes and versions: cylinders with knob, half cylinders, double clutch cylinders, etc. It is important to mention that within this cylinder model, we offer a large variety of sizes. Contact Ezcurra, our manufacturing team and sales network are here to help.